It’s fair to say that we were very excited when we saw drinks such as raspberry quencher, acai & mixed berry smoothie and spirulina & kiwifruit smoothie ($4.50 each). What we didn’t notice was that they were all under the same heading “Charlies organic bottled juices”. So instead of freshly squeezed juices, we received a premade mango and orange smoothie. 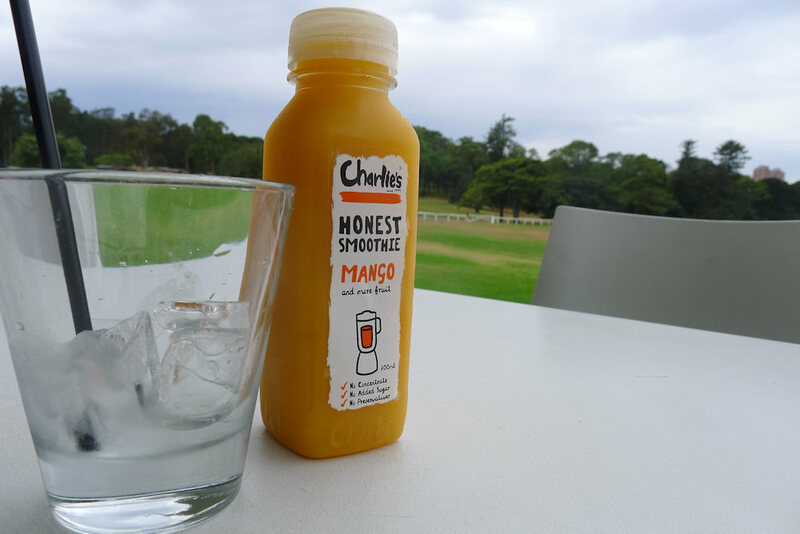 As pleasant as it tasted, it simply doesn’t compare to freshly squeezed juices. 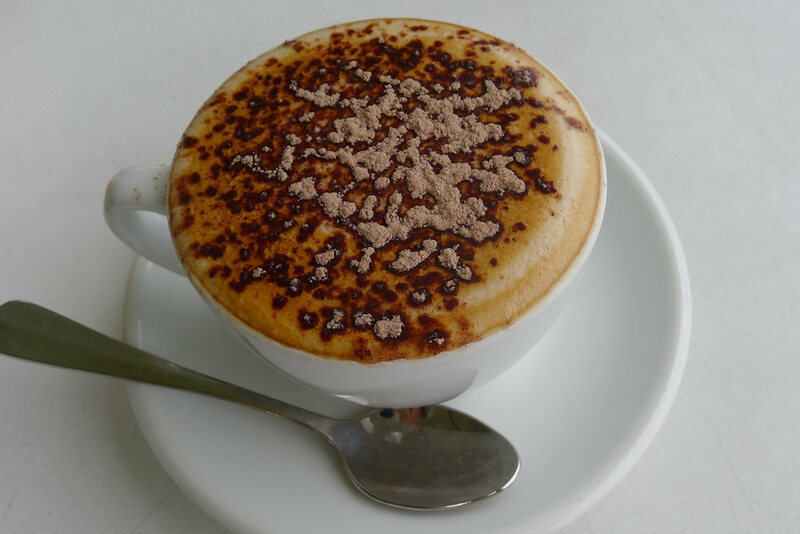 We ordered a skim cappuccino ($3) as well as a soy cappuccino ($3). For once the soy milk didn’t cost us any extra! Both coffees arrived quickly and were served hot. Just the way we like it. 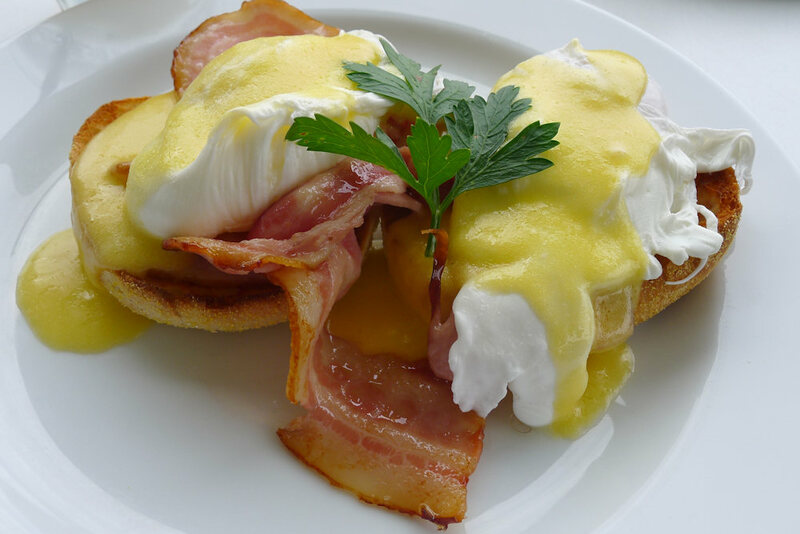 The Benedict is available with bacon ($15.50) or salmon ($19.50). There was very little to complain about with this dish. The toasted muffin, eggs and hollandaise had all been prepared extremely well. The eggs were still nice and runny, the sauce reduced enough. The bacon seemed a bit scarce and fatty but it was good to find another café that knows how to do Benedict (just order double bacon!). 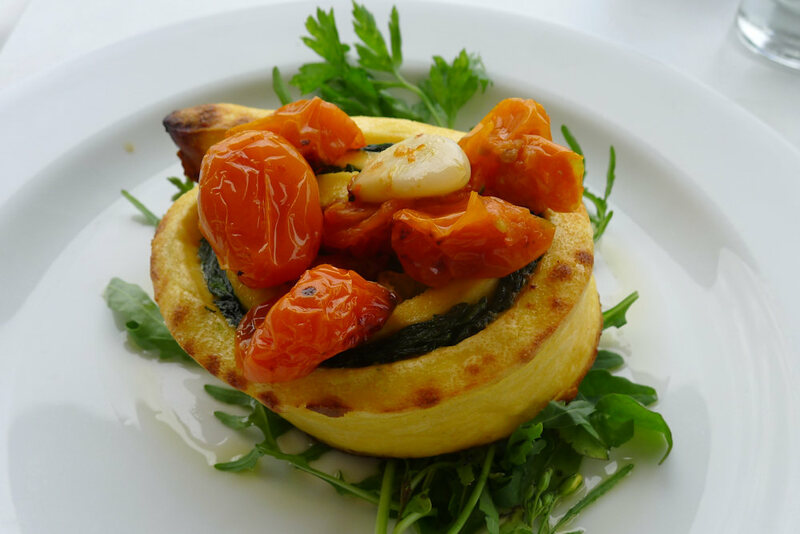 The ricotta roulade ($14.50) is served on a bed of greens and topped with grilled grape tomatoes and a clove of garlic. The roulade itself is made of egg so we assume it is cooked flat, topped with spinach and then all rolled together. The combination tasted great and the entire dish was moist and full of flavour. We don’t think that the price is justified by the size but we enjoyed this nonetheless. At first April couldn’t pin point why the eggs tasted so bitter but then we realised it was the vinegar used in the poaching process. We’re not sure if this flavour can be avoided so we’ll ask for fried eggs next time. The mushrooms were delicious and served to the side so the bread wasn’t too soggy. If we hadn’t ordered the mushrooms as a side, the dish wouldn’t have filled us up. It would be nicer served with 2 pieces of bread. Nonetheless, the eggs were soft and the bread fresh so a decent meal. 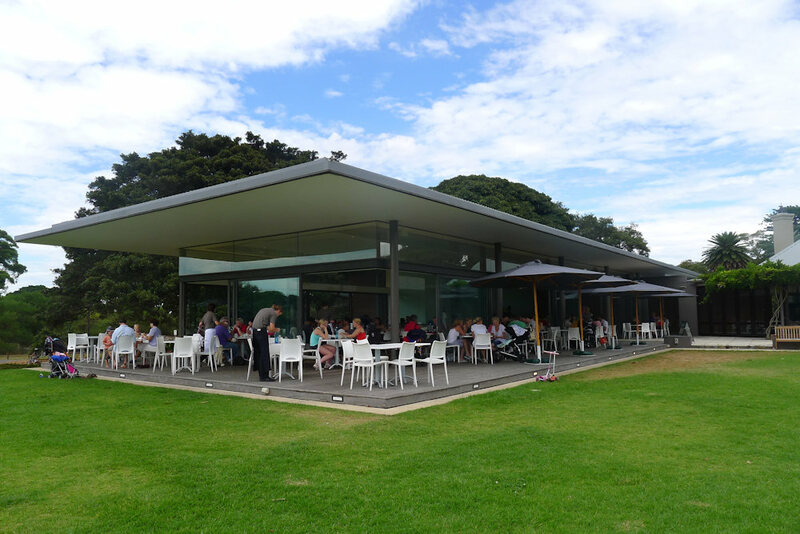 Centennial Parklands Dining lacked the character of so many other Sydney cafés. It’s set in an amazing location which almost makes up for it. The menu is quite disappointing especially as they don’t offer any fresh juices or smoothies. The kids menu (for 12 years and below) consisting of simple and delicious items such as poached egg with soldiers and Vegemite and cheese toast, looked more appetising than the main menu. We wish they would remove the age restriction. If you’re in the area we recommend packing a bike and picnic lunch and enjoying the gorgeous parkland. 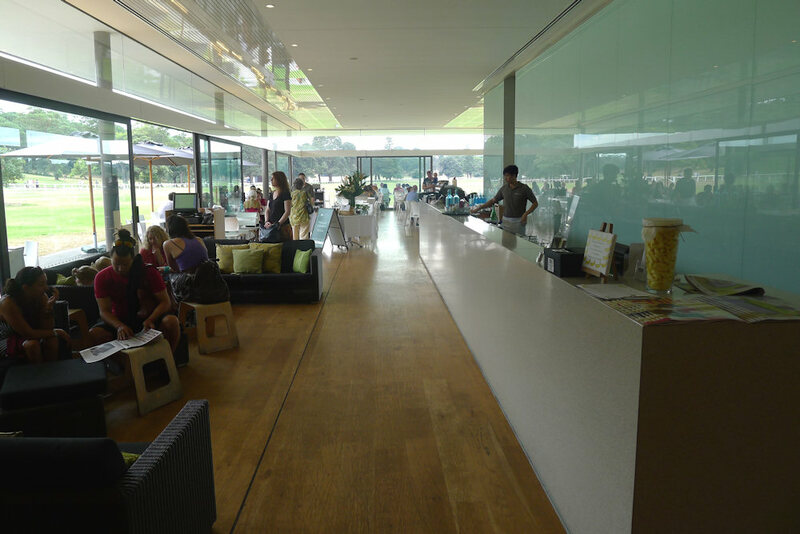 This entry was posted in Sydney - Eastern Suburbs and tagged Organic Options, Outdoor seating. Bookmark the permalink. 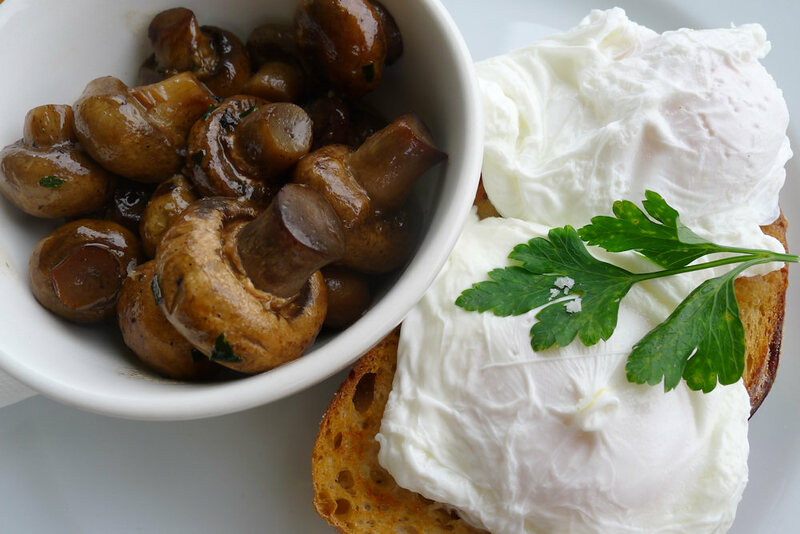 I’ve noticed some cafe’s do a really nice poached egg, while others don’t. The ones that don’t often leave the egg in for too long, or use too much vinegar to help hold the egg together during poaching, leaving too much of a bitter aftertaste. Heaven forbid both happen. Thanks for the comment!~ If you know of any places that do good poached eggs please let us know. I’ll be brave and try it in weeks to come.